Hi friends! 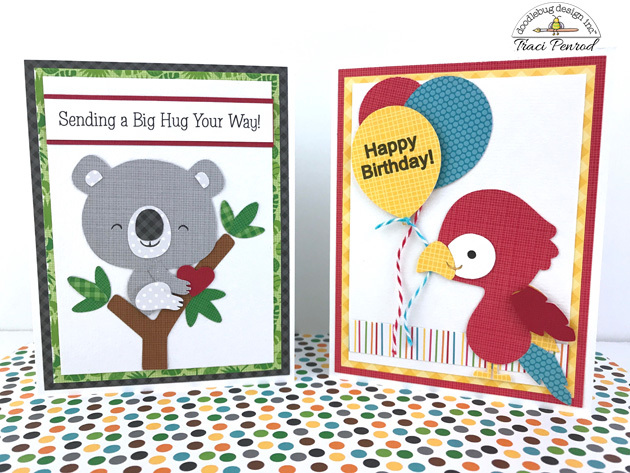 It's Traci and I'm up on the blog today with a few cards that I created with the new At the Zoo cut files. The koala and parrot are my favorite animals in this collection ... aren't they adorable??! 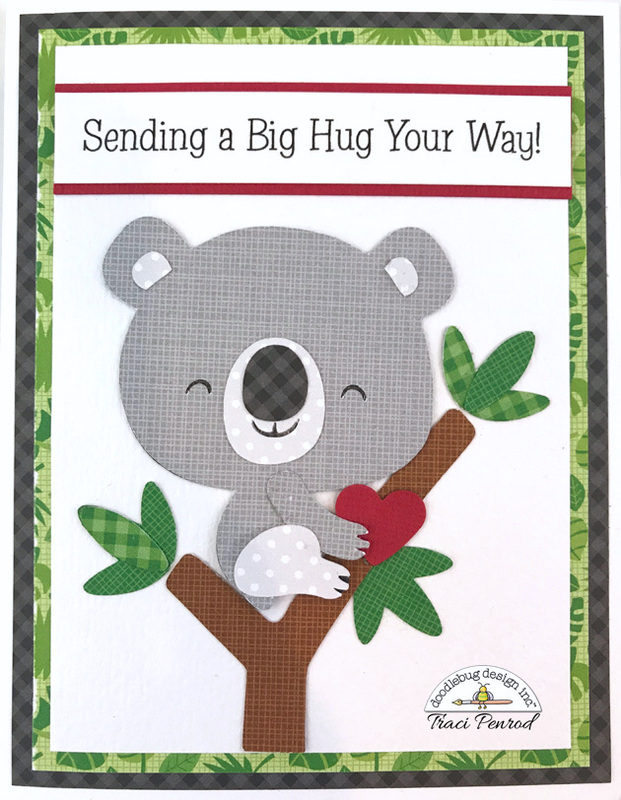 You can find the file for the koala bear in the Silhouette online store here, or if you have a different machine, the SVG file is available in Lori Whitlock's SVG shop here. I just printed the sentiment on white card stock and matted it with some red. I also punched out a little red heart for an added pop of color. The parrot file is in the Silhouette shop here, and as a SVG in Lori's shop here. I did a print and cut for the "Happy Birthday" sentiment, and added some doodle twine for the cute little parrot to hang on to. All of the papers I used were Doodlebug scraps from my linen/gingham stash, swiss dots, and an older summer collection, Sunkissed. The adorable leaf print behind the koala is from the new At the Zoo collection and it's probably my favorite print of all! Thanks for stopping by today! 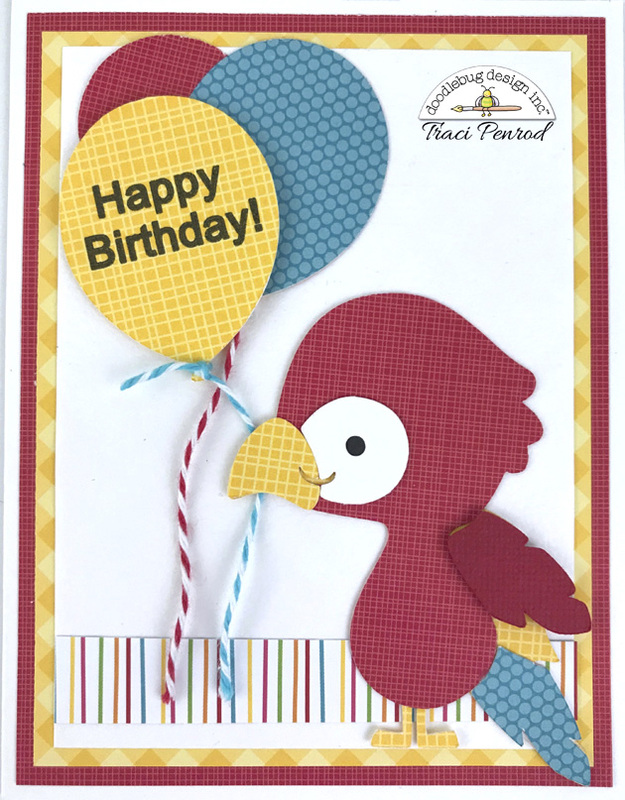 I hope you'll check out all of the cute cutting files in the At the Zoo collection and share your projects with us on Facebook!